Texas A&M International University (TAMIU) offices and the Sue and Radcliffe Killam Library will close Monday, Jan. 21 in a State-authorized observance of Martin Luther King Jr. Day. The first day of classes for Spring 2019 is Tuesday, Jan. 22, with University offices reopening at 8 a.m. All tuition and fees are due Friday, Jan. 18. The last day to register is Monday, Jan. 28. Despite office closures, registration for Spring Semester 2019 is underway and continues online through UConnect. 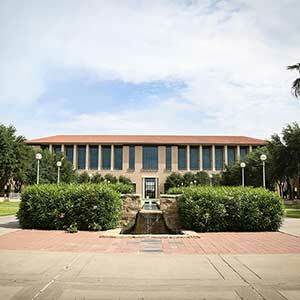 Students can also build their Spring Schedule through the new TAMIU SchEDUler. TAMIU SchEDUler is an online schedule planning tool accessible by desktop, smartphone and tablet. Learn more about creating your schedule at https://www.youtube.com/watch?v=OZwQnJBwHFQ. In the event of an emergency during the closure, please contact University Police at 326.2100. Additional University information is available at tamiu.edu and on its social media sites on Facebook, Instagram, Twitter and YouTube.